Due to the fast pace of school term, especially in the senior years of Yr 11 and 12, students often have little time to revise concepts learnt earlier in the term or in the past terms. While the weekly sessions are used to keep up with schoolwork and tests, the Term 1, 2 and 3 Holiday Revision Classes are useful in revisiting past concepts and to acquire exam techniques with sample exam questions. These questions provide students with an edge in tests and examinations, particularly GATE, NAPLAN, ICAS, school semester exams and the WACE. Students will not repeat the same questions given in the term class in the Holiday Revision Classes. The intensive nature of the Holiday Revision Classes which run for 5 days allows more practice for and aids in better retention of knowledge. 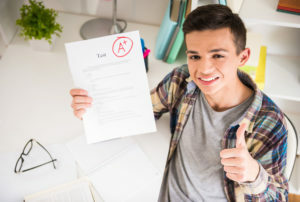 Therefore, students who have attended the holiday revision classes are able to perform better when the new term starts. Please download Holiday Revision Classes in PDF below!